Think of a typical day at work. There are emails to answer and send, calls to make, meetings to attend, approvals, reports, follow-ups, and tasks to track. While mundane, these repetitive tasks allow businesses to operate successfully. The downside is that they take up a lot of time. For instance, we know that salespeople only spend around 34 percent of their time actually selling. The rest of the time, they’re pulled away from selling by administrative tasks like updating CRM records, setting calendar and task reminders and obtaining approvals. According to the 2016 State of IT report, fifty-five percent of IT teams listed ‘increasing worker productivity’ as a team priority, with forty-two percent citing ‘automating business processes’ as another core focus. So we know this is a problem for businesses, but what’s the alternative? Asking an already backlogged IT team to build something to improve processes? Waiting for 3+ months for developer teams to create solutions? Not anymore. 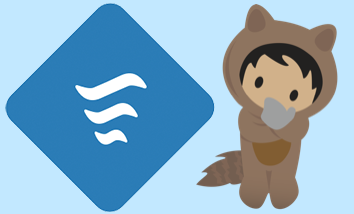 Lightning Process Builder is a powerful, yet easy-to-use workflow automation tool that allows Admins and Developers to quickly automate business processes — without code — at enterprise speed and scale. 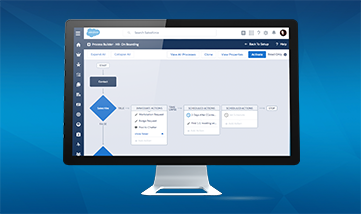 With Lightning Process Builder, Salesforce administrators can automate a significant portion of sales support tasks and free up sales to do what they do best: sell. Because Lightning Process Builder shows users a picture of the process, admins can collaborate with sales managers on the process, and make quick edits when the process changes. 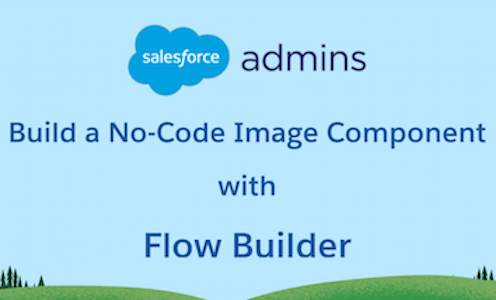 We’re seeing a new kind of developer — a Salesforce admin who can deliver business value without having to code. 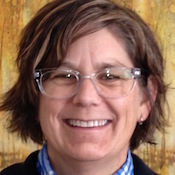 It makes a lot of sense: they know the business needs, they understand the technology, and they strive to deliver operational excellence every day. 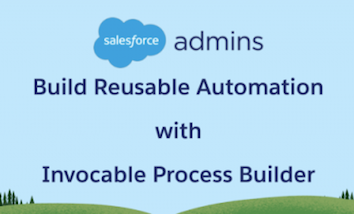 With Lightning Process Builder, admins are empowered to automate almost any kind of business processes. The result: your company can respond faster to business changes. Order Management: Track order execution with email notifications, create an order record, or add new order data to existing record. Manage Opportunities and Deals: Auto-create records and notifications based on opportunity stage. When the Opportunity stage goes to “Closed Won,” create an Order record with the data contained in the Opportunity and the associated Account. Empowering your admins and business users to automate workflows is a big boost for IT teams. With simple, visual interfaces to guide users, IT no longer has to shoulder the full responsibility of building processes — which in turn lets IT focus on more complex projects. Companies save money because they don’t need to hire a separate developer to streamline operations, and admins boost their own performance and value by learning new time- and cost-saving skills. 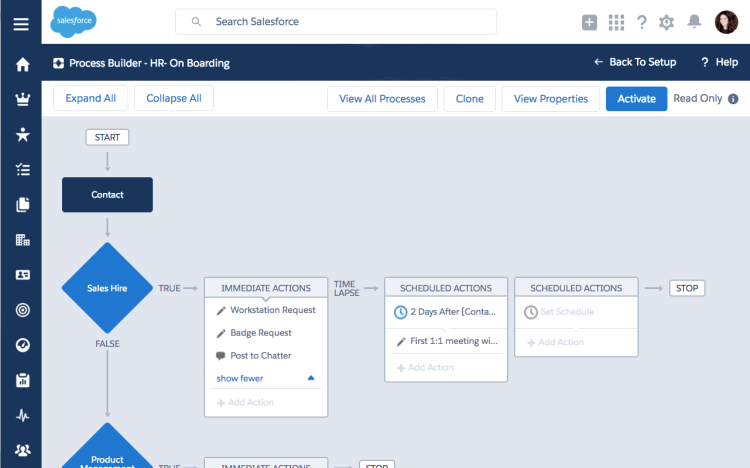 Best of all, Lightning Process Builder leverages the power of the entire Salesforce platform and beyond — it integrates with external systems, opening the door to so many automation opportunities. In our increasingly connected and always-on digital world, it’s more important than ever that companies are unified in their efforts to operate at peak performance. With Lightning Process Builder, people who are close to the business but don’t know how to code are able to deliver value through process automation. When business processes are streamlined and efficient, employees can focus on doing their jobs, rather than the time-consuming busy work. Admins are empowered, business users gain productivity, IT shares the workload, and companies operate more efficiently.